When creating a high end development, sometimes simply just a nice bathroom is not enough. A relaxing wellness spa for the family on a second floor or perhaps for the main master en suite itself, could be the perfect addition to any luxury development or private client project . At Concept we work with the most creative and innovative designers and manufacturers, to create high quality spas and wellness relaxation areas. One of the top manufacturers that are a specialist in luxury showers are Dornbracht, a quality brand which promotes “personal needs, individual spaces” in all of their designs and creations. The idea of creating a space for relaxation and provides health benefits in a modern digital way, runs through the heart of their collection. 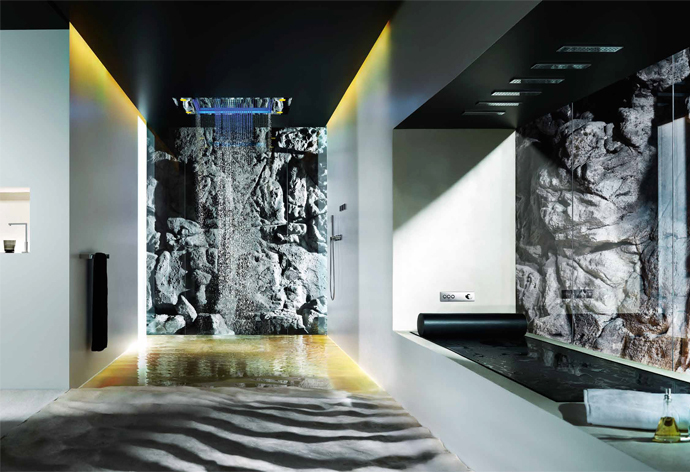 Dornbracht features the Sensory SkyATT which mimics nature’s rain patterns, ranging from a mist to rain, with colour changing properties to mimic sensory choreographers inspired by nature and complimenting fragrances, you receive a full sensory experience. 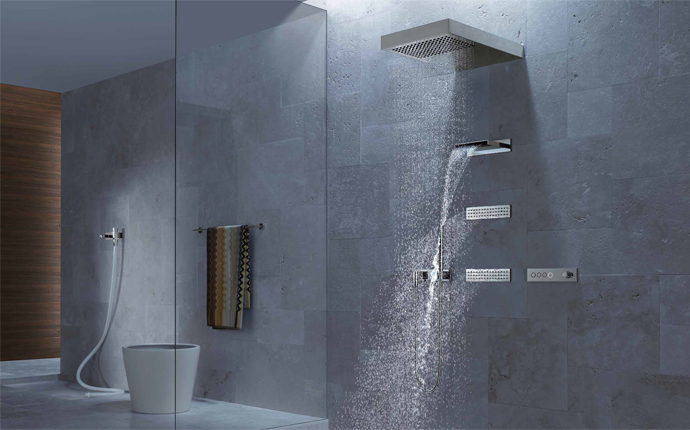 The Horizontal ShowerATT is an innovative shower designed to provide a relaxing reclining shower experience. Featuring six water bars set above the horizontal reclining area for a spa like experience, the perfect indulgence for any luxury development. For a more classic but modern shower option, the Vertical ShowerATT features a more ‘usual’ set up for a shower but with special jet type outlet points and a waterfall sheet of water this is like no shower you have experienced. To add to this relaxation two water bars stimulate the back for an all around experience. Our innovative in house design team are creative in designing the perfect solution for your luxury development or private client project. We specialise in working on projects at an early stage, prior to building works starting, to ensure the most sophisticated bathroom and wellness spa design projects. Please call us today for an initial design consultation and we can make an appointment to see you at our award winning showroom to discuss your project requirements. This entry was posted in Luxury Bathrooms and tagged Architectural Bathroom Design, Bathroom Design Beaconsfield, bathroom design BUckinghamshire, Bathroom Design Oxfordshire, bathroom design surrey, Dornbracht, Dornbracht Shower Design, High End Bathrooms, luxury bathrooms, luxury showers, Powerful Showers, Spa Design, Steam & Sauna Design, steam room design, Wellness & Spa, Wellness bathroom design. Bookmark the permalink.